The Hitman's Bodyguard (film, 2017). A 2017 American action thriller comedy film with "R" rating by Summit Entertainment/Lions Gate Entertainment. Directed by Patrick Hughes. Official Trailer. The Hitman's Bodyguard is a 2017 American action thriller comedy film directed by Patrick Hughes. 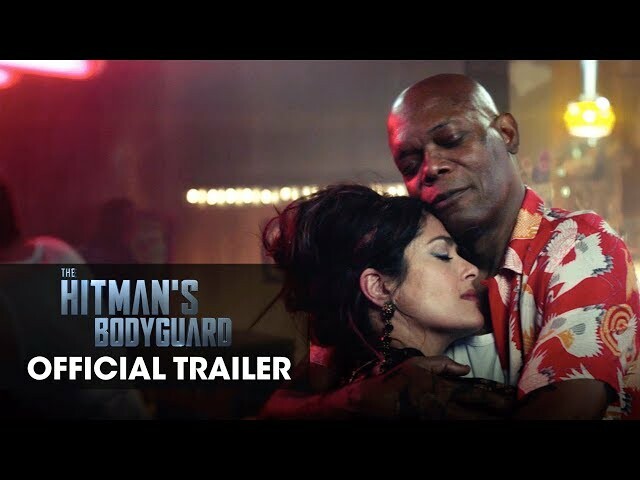 The Hitman's Bodyguard Official Trailer "Romance Awareness Month" - Samuel L. Jackson, Salma Hayek. Michael Bryce (Reynolds) lives a stylish life as an elite UK-based private bodyguard, until client Takashi Kurosawa is assassinated on his watch. Two years later, the disgraced Bryce ekes out a living protecting drug-addicted corporate executives in London. Meanwhile, Vladislav Dukhovich (Oldman), the ruthless dictator of Belarus is on trial for crimes against humanity at the International Criminal Court. Unable to secure solid evidence or testimony against Dukhovich, the prosecution's last hope is notorious incarcerated hitman Darius Kincaid (Jackson), who agrees to testify against Dukhovich in exchange for the release of his wife Sonia (Hayek) from prison. Interpol Assistant Director Jean Foucher assigns Amelia Roussel, an inexperienced agent and Bryce's ex-girlfriend, to lead Kincaid's transfer from Manchester to The Hague. The Interpol convoy of French GIPN and British AFOs from the National Crime Agency is ambushed in Coventry, leaving only Kincaid and Roussel alive. The two retreat to a safehouse; Roussel realizes there must be a mole inside Interpol and turns to Bryce for help. Despite his belief that she is responsible for Kurosawa's death, and past entanglements with Kincaid, Bryce agrees to assist them to restore his reputation. Roussel returns to Interpol to update her superiors but is placed on leave, while Bryce and Kincaid escape an attack by Dukhovich's men. Foucher, the mole, goes to Dukhovich and demands his payment; Dukhovich stabs him in the hand and assures him he will only be paid when Kincaid is dead. Principal photography began on April 2, 2016, in London, Amsterdam, and Sofia. The film The Hitman's Bodyguard was scheduled to be released by Summit Entertainment and Lions Gate Entertainment on August 18, 2017 (Turkey) and on August 31, 2017 (Germany). The duration of the film is 118 minutes. With a budget of $30 - 69 million, the film grossed over $176.6 million. 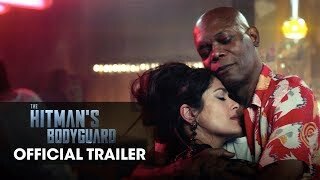 The Hitman's Bodyguard got average rating from critics. But the audience likes the film. Audiences polled by CinemaScore gave the film an average grade of "B+" on a scale ranging from A+ to F.